Taco Tuesday! Is that still a thing? 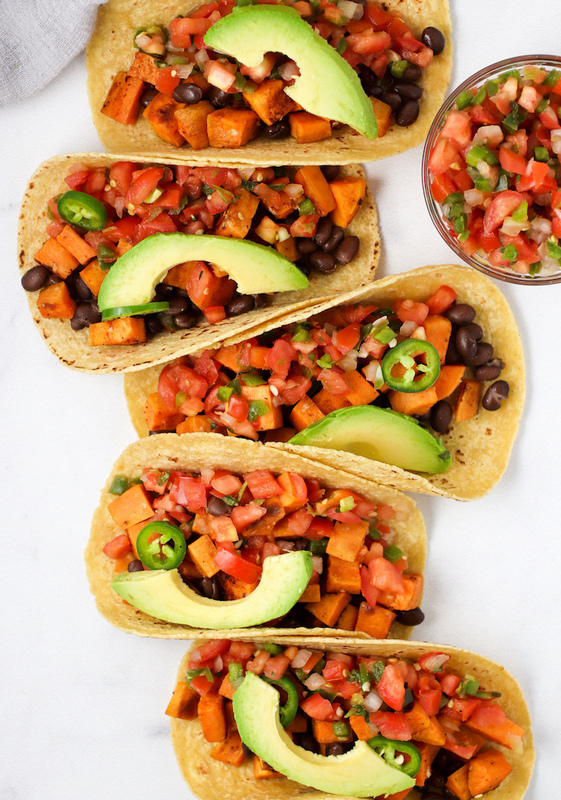 Last night I made these ridiculously easy Sweet Potato Tacos! 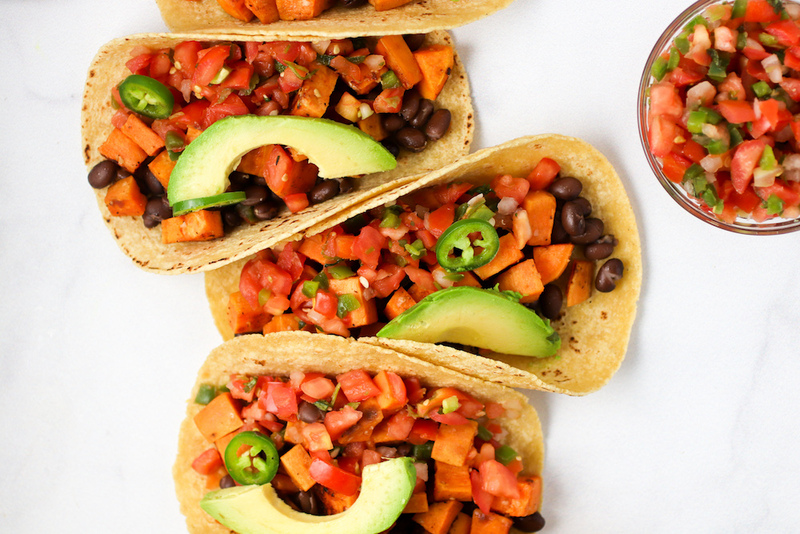 You only need one pan and a cutting board, and these tacos are ready in less than 30 minutes. 🙂 One of my favorite taco hacks is using pre-made pico de gallo. It’s the easiest way to get all those veggies and flavor in without needing to actually chop everything yourself. I’m not super into the chopping. 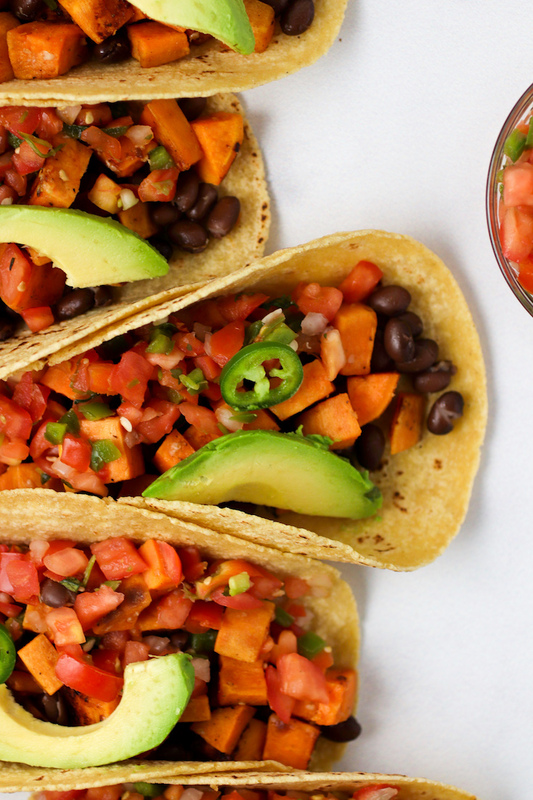 So whether it’s these sweet potato tacos, or a standard taco with ground beef or chicken, throw in some pico de gallo and sliced avocado and you’re good to go! I also used the leftover sweet potato mix for a salad the next day! Just mixed in a bunch of leafy greens and some high quality olive oil for a naked taco lunch. in a non-stick skillet, drizzle 2 tablespoons of olive oil over medium heat. add in the garlic, black beans, and another dash of sea salt and pepper sauté for another minute or so until the garlic is fragrant and the black beans are warm. top each tortilla with the sweet potato mixture, pico de gallo, a slice of avocado, and jalapeños.